The Larson Electronics EPL-SL-10-150LED-RT-IBC Explosion Proof 1500 watt Cree LED String Light set is approved Class I, Divisions 1 & 2, Groups C and D and Class II, Divisions 1 & 2, Groups E, F, and G and is ideal for inspection activities and temporary illumination in hazardous locations requiring explosion proof protection. This daisy chain temporary lighting system provides 175,000 lumens and comes equipped with individual I-beam mounting brackets per light head, allowing for flexibility within the job site. This explosion proof string light set from Larson Electronics contains a total of ten 150 watt work lights equipped with I-beam mount clamps and connected in series along 180` of 12/3 SOOW cable. The 150 watt LED lights are evenly spaced along the 180` feet backbone and junction together with 20` of cable between each light. The cord on this unit is terminated with a 5-15, 5-20, or 6-20 Class 1, Division 1 explosion proof plug for complete protection. With this arrangement, each drop light cannot spark if pulled apart or dragged. A 65` foot tail section of main SOOW cord is included to allow ample length for connection to power sources. Each explosion proof light fixture provides 17,500 of high quality light while drawing only 150 watts, for a combined 175,000 lumens and 1,500 watts. 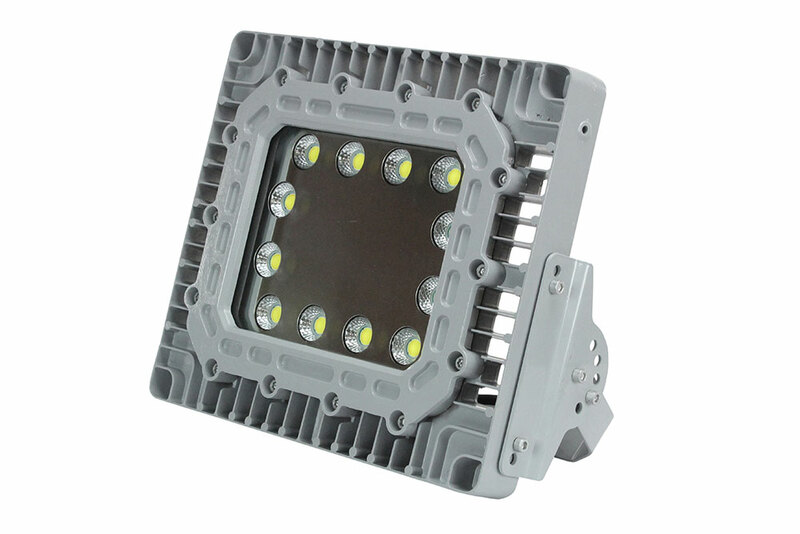 These lights are direct replacement for 400 watt metal halide temporary fixtures. The copper free aluminum alloy body is powder coated for added durability and an attractive aesthetic appearance. 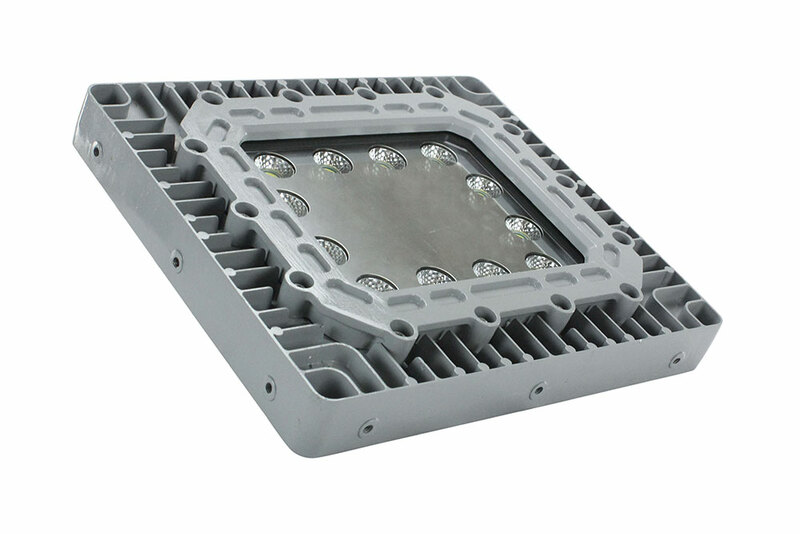 Special heat dissipating design in conjunction with LED technology helps these fixtures to achieve an excellent 60,000 hour rated lifespan with 80% lumen retention. Light weight and a low profile make this unit an attractive alternative to larger and heavier traditional fixtures and requires less hardware to install. This unit incorporates ten explosion proof 150 watt LED lamps connected in series and is suitable for use in areas where petrochemical vapors and various dusts are present. The cast aluminum housings, tempered glass lens, and abrasion resistant cord make this a very durable unit that will resist damage from chemicals, abrasion, vibrations and impacts. This string lighting solution will provide the lighting you require in a flexible, easy to manage configuration for job site illumination. The lamps can be moved around and mounted to different points within the work area. The lights, however must remain within 20 feet of one other.